Parables of Light is an amazing collection of essay, prose, and poem by author, visionary, and healing energy consultant Joe Hurley. The writings start out easy and uplifting and move into advanced lessons that represent a true “best of” experience of all of Joe’s teachings. From personal experiences to technical dynamics, the information covers many core lessons such as: abundance, manifesting, moving beyond illusion, awakening to multidimensional reality, going through the ascension process, facing discomfort, identifying triggers, healing reaction patterns, opening to advanced communication techniques, and opening to miracles. 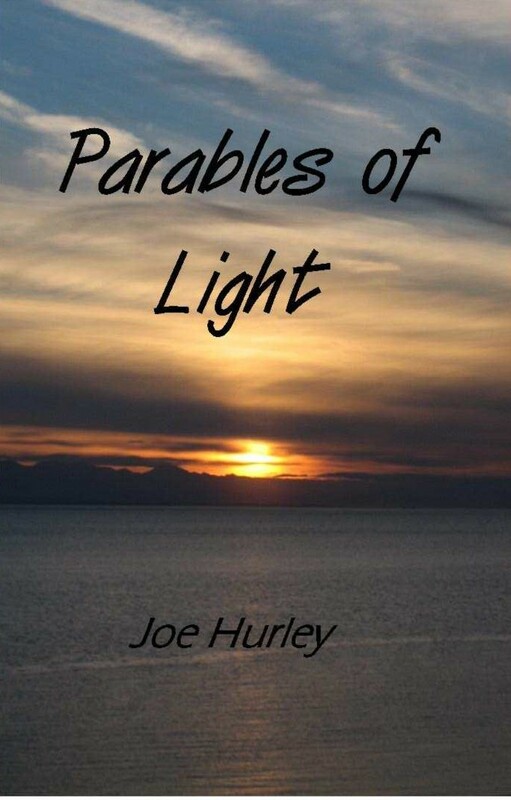 A wonderful mix of personal inspiration and divine guidance, Parables of Light takes you to a new level of awakening and shows you how pure grace, divine wisdom, and unconditional love help you in healing and expanding into a higher state of being. -opening to your unique source of light. -expanding your mind into your divine wisdom and knowing. -opening to your unique multidimensional song. -letting go of attachments and opening to your true divine flow. -opening to the magic of your own free will. -opening to your divine being. -entering into the illuminating oneness of your whole self. -ascending into the divine space. -seeing your true divine self. -opening to your heart and true divine center. -opening to your true spiritual intent. -opening to your true source of abundance. -letting go of struggle and effort. -understanding the main keys of divine manifesting and abundance. -owning your true divine wisdom, love, and light. -moving from a foundation of pain to a foundation of divine wisdom, love, and light. -holding the divine space for deeper healing. -learning about Joe Hurley’s personal experience awakening to multidimensional reality. -learning about Joe Hurley’s personal experience opening to the divine and going through the ascension process. -gaining support when first awakening. -understanding the uniqueness of individual awakening. -opening to advanced abilities with each awakening step. -understanding the gifts of advanced communication. -understanding more about the larger picture. -awakening to your true divine wholeness.